Chocolate Fountain.... You know you want it! 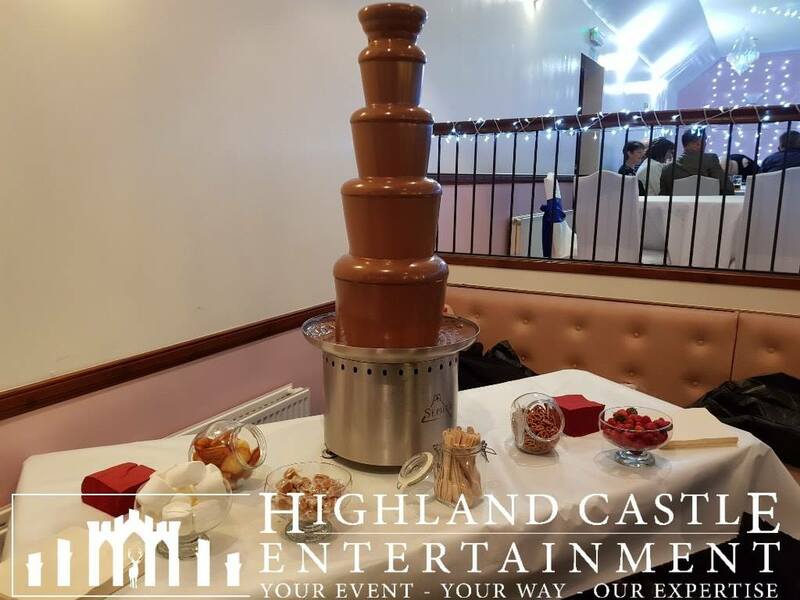 Highland Castle Entertainment Ltd supply the finest quality, most unique Chocolate Fountain Hire available. Located in the Highlands, we cover all areas across Scotland and the Islands. 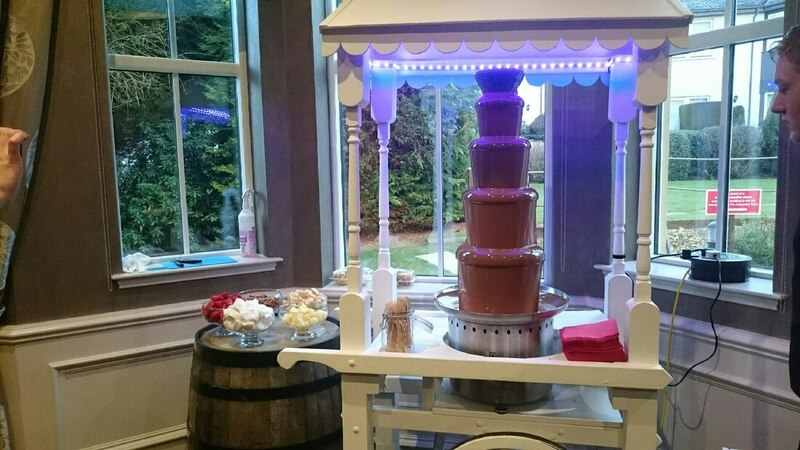 Our staffed fountain package comes with UNLIMITED finest quality Belgian chocolate and unique custom lighting which makes our fountain displays the best tasting and most amazing looking chocolate fountains you and your guests will ever see. 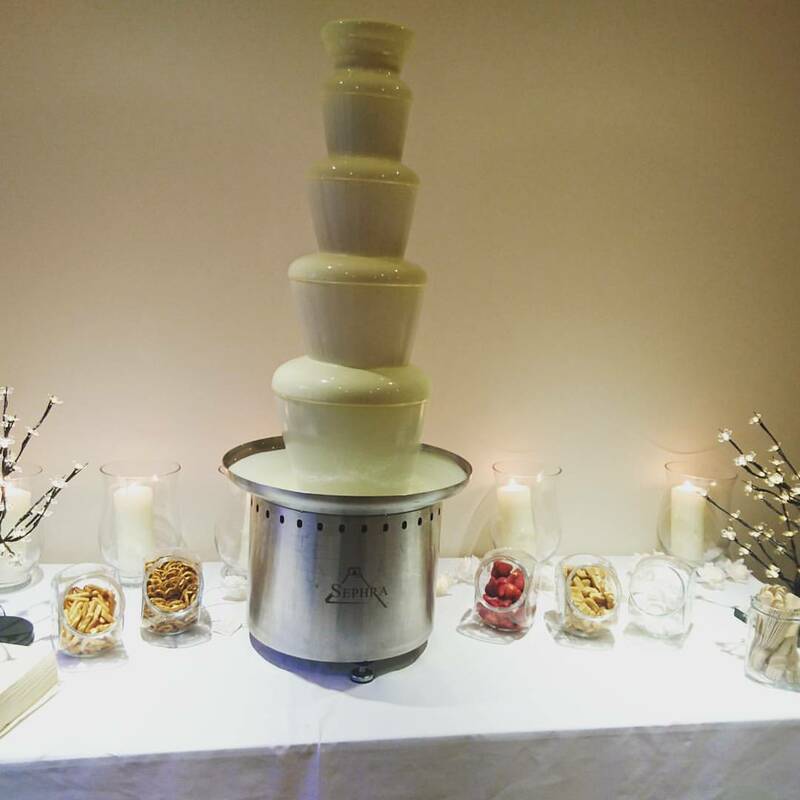 We offer a range of Chocolate fountains which can be tailored to suit events of all sizes, from fully staffed packages suitable for events of 50 to 1,000 or more guests. The setting up for a projected image should take 1 - 1.5 hours. We will arrive around 1 - 2 hours before we are meant to start serving.